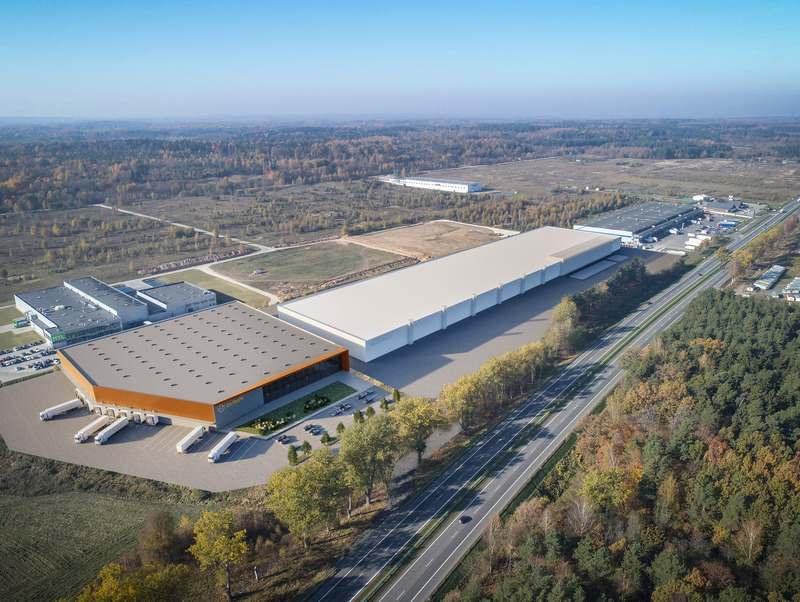 Pharmaceutical logistics company “Oribalt” will double its warehousing capacity in Baltics. The construction of new pharmaceutical warehouse with an area of 6500 sq. m. has started near Vilnius city. The warehouse can be expanded by additional 4000 sq.m. in the second stage when needed. Currently “Oribalt” is warehousing pharmaceuticals and other health care products in their warehouse in Vilnius, which covers an area of 6,000 sq. m.. This logistics and distribution center is serving all Baltic countries. The new warehousing and office premises for “Oribalt” will be built by a Norwegian real estate investment company “Baltic Sea Properties”. “Oribalt” has chosen a 12-year contract with built-to-suit concept. According to contract, “Baltic Sea Properties” will build and rent the necessary space for a pharmaceutical logistics company with possibility to expand according to “Oribalt” unique drawings. Real Estate Consulting Company “Solid Real Advisors” has been involved in the process and coordinated transaction along with law company „Sorainen“, which provided legal assistance. Total investment in new warehouse is about 4,8 million euros. “This agreement has a significant impact on our pharmaceutical logistics business in the Baltic States: storage capacity is doubling, new storage technologies are introduced, pharmaceutical industry standards are more stringent, GMP and GDP quality standards are followed even more precise. We aim to have a warehouse tailored to our core business staying flexible in changing market conditions. We will be able to grow faster, receive more cargo, expand our service to neighboring countries and open, for example, customs warehouse“, - said Pekka Ruokanen, CEO of “Oribalt Group”. According to him, warehouse is designed exclusively for the warehousing of pharmaceuticals, healthcare supplies, materials and devices. “Oribalt” is serving major global pharmaceutical companies. „Oribalt” provides pharmaceutical logistics services to all the Baltic countries, therefore, by expanding its activities, the company will be able to provide a lager range, better, more flexible availability of medicines to all wholesale companies, hospitals and laboratories located in Estonia, Latvia and Lithuania. “The storage of pharmaceutical goods requires specific conditions and specially designed facilities that meet high standards. Therefore we want logistics terminal be built specially for us. It will meet all the global standards of the pharmaceutical industry,” said A.Pivoras. The company “Oribalt Vilnius” is logistics, trading and pharmaceutical wholesale company founded in 1993. In 2017 its only shareholder, the Finnish company “Oriola Oy”, sold its business in the Baltic States to new owners, Today “Oribalt Group” registered in Latvia and owns 5 companies across Baltics. „Oribalt“ consolidated turnover in the Baltic States was 64 million euros in 2018. The company employs about 125 people.